Honda Activa is to be considered the best selling scooter of the Indian empire from almost the last few decades. Honda is capable enough to maintain its position in the Indian market in two-wheeler segment as Activa is made up with the metallic body as well as the company has also offered updated versions of the scooter time to time. 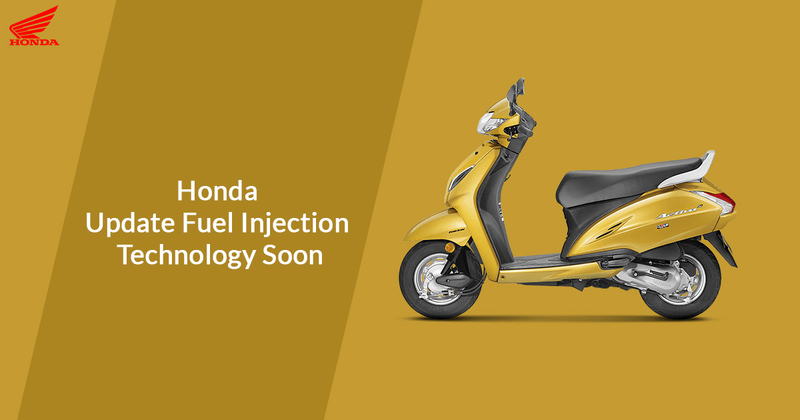 Along with the Honda Activa, other scooters and bike models are also in the queue to be fitted with fuel injection technology for upgrade towards the BS VI technology. The sales of Activa models have risen so far from the last few decades and it is one of the world’s largest two-wheeler scooter and has given ultimate growth to the overall sales. Honda has various two-wheeler scooters namely Dio, Grazia, Cliq and more but Activa's image in the market is very strong that no other scooter is able to give stiff competition to it so far. To maintain its strong position in the market, Honda is planning to render a significant technology upgrade on its upcoming Activa Scooter. Honda Motorcycle and Scooter India (HMSI) has started working upon a fuel injection technology on its most selling Activa model in an attempt to follow the stringent BS-VI emission norms which would be implemented from April 2020. However, the trustable 110 cc HET air-cooled engine would be the same in the upcoming Honda Activa 6G. The electronic fuel injection would help to keep the petrol supply in a precise manner which resultant to controls the overall fuel flow and makes fuel efficiency better. It is one of the better ways to trim tailpipe emissions. Fuel injection technology would reduce the emission level as well as enhances fuel efficiency significantly. It is being speculated that the Honda Activa with fuel injection technology is to be 10 percent better than the current Active model which is claimed to render 60 kmpl. The upcoming Activa model is likely to come with revised features and updates. The new generation Activa is expected to be dubbed as Honda Activa 6G. The other two-wheeler automatic scooter models of Honda would bring the cleaner technology before the deadline of April 2020. It is being speculated that Honda would also follow BS-VI emission norms by implementing fuel injection technology in its upcoming Activa models.